Successfully Added 8-Inch Car Media Player - HD Display, 32GB External Memory Support, Bluetooth, FM/AM Radio, GPS, Touch Screen to your Shopping Cart. Never experience a moment of boredom in your car again thanks to this stunning 8-Inch car DVD player. Simply slide in the DVD of your liking, and your passengers will never have to feel bored again. Besides playing DVDs, this car media player also supports external media input through USB or TF card. Thanks to this, you’ll be able to play the latest films and series straight onto the dashboard of your car. On its crisp 8-Inch display, you’ll be treated to beautiful HD resolutions. Thanks to this, all your passengers will be able to undergo a true cinematic experience while driving along in your car. Besides playing movies, this car media player can also be used for listening to your favorite tracks. It comes with a built-in FM/AM radio and furthermore supports Bluetooth connectivity. The latter allows you to play your favorite songs in your phone’s music library through your high-quality car stereo. Additionally, it can be used for making hand free calls while driving your car. This will significantly increase your safety on the road and you’ll no longer get distracted by holding your phone. With its smooth touch screen, this car DVD player is easy to navigate. It furthermore comes with iGO maps navigation installed to make sure that you’ll never get lost on your way again. 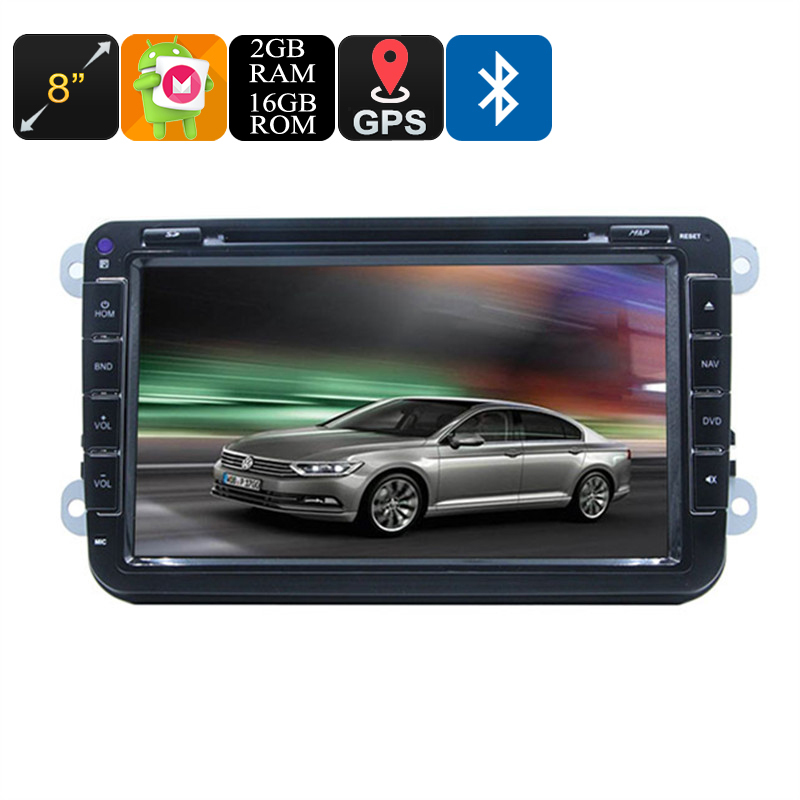 Whether you use it to watch movies, listen to music, or for navigation purposes - this 8-Inch car media player is sure to meet your demands. This car DVD player comes with a 12 months warranty, brought to you by the leader in electronic devices as well as wholesale media players..